The ZT200 Series, incorporate extensive customer feedback and the learnings from legacy printers—creating innovative printers with a space-saving design. Featuring Zebra’s Link-OS® environment, the ZT200 Series provides users with effortless setup, intuitive operation and ease of service and maintenance. Whether you are adopting barcode technology for the first time or upgrading existing printer models, the ZT200 Series is the right choice for a variety of labeling applications. 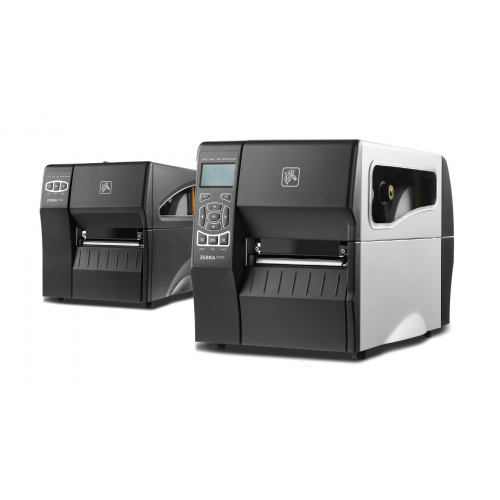 These innovative printers provide many user benefits.The ZT200 Series offers a streamlined design and smaller footprint that takes up less physical space than the Stripe and S4M models. ZT200 Series printers require minimal operator training and benefit from tool-less standard component maintenance and a durable design to minimize service. Your IT staff will appreciate the backwards compatibility, since it allows for new printers to be up and running with minimal time and effort.The ZT200 Series has been designed for ease of use, versatility and outstanding value. As our most affordable line of industrial printers, the ZT200 Series incorporates extensive customer feedback as well as the legacy of our industry leading Stripe and S4M printers—creating innovative printers with a space-saving design. Featuring Zebra's Link-OS® environment, the ZT200 Series provides users with effortless setup, intuitive operation and ease of service and maintenance.